A site must fit the pond and the pond must fit the site. 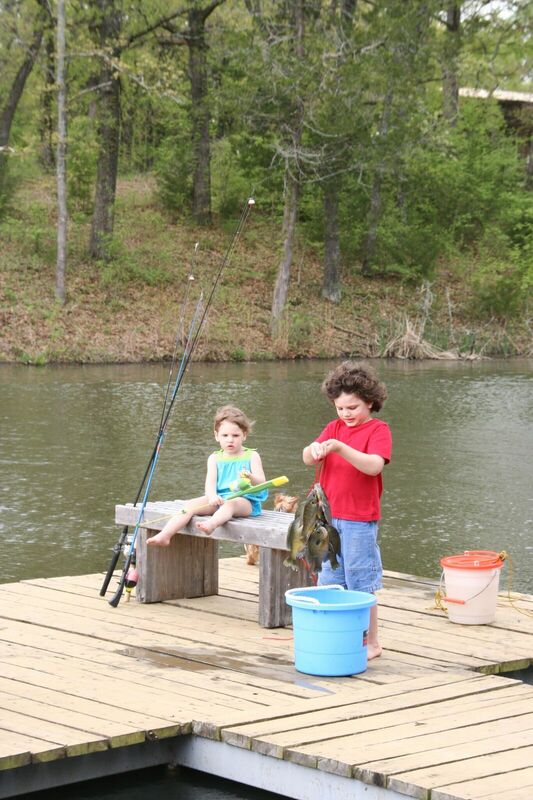 Before enjoying those grandpeeps on the dock, catching big stringers of fish, you need to do some planning. There’s a sweet spot on your property to have a pond. You can see it, down the hill a little bit, nestled in a bristly, brushy valley below your favorite place. For some time, you’ve envisioned water, beautiful blue color, teeming with fish, a flock of ducks calling your wet spot “home” for the moment. It’s a peaceful place, filling that low spot on the land. What do you do? Where to start? There is a list of mistakes people make once they decide to build a pond. Used to, not that many years ago, you simply called the local bulldozer operator, asked him to build a pond and then, presto-chango, you had a pit surrounded by a pile of dirt that soon had water lapping at the surface. The first big mistake people make is to assume. Never assume. You have to know what to expect. That means planning. Lots of planning. Planning means learning. Start with goals. Goals give you a target. Just because that beautiful, perfect-looking site you have in mind’s eye looks ideal…it may not be. A site must fit the pond and the pond must fit the site. Two totally different concepts become one. Not only should your dream pond be aesthetically appealing and fit the site, the site should be practical to build a pond. Uh, exactly what does that mean? Time spent on site, after reviewing maps, is very important. Start with maps. Topographical maps and aerial photos. Evaluate the watershed. Most people don’t do that. The size of the watershed, compared with average rainfall for your area, determines the size a pond should be. If your watershed drains 50 acres into that valley, the pond will be a different size than for a watershed which drains 500 acres. That’s how the pond fits the site. After you figure out how large the pond should be, the next mistake people make is misunderstanding the soils. Not all soils are good for pond building. Clay is a must. 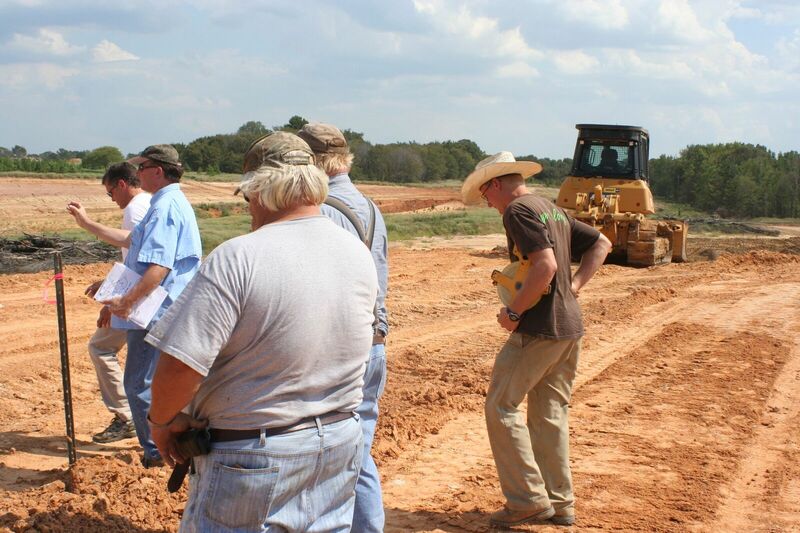 Avoid a leaky pond by understanding the best soil types for compaction in an earthen levee or an excavated pond. Often times, soil in a valley was deposited there over many, many years. That means a mixture of soil types, mostly those that like to move. Make sure your soils will work for the project. 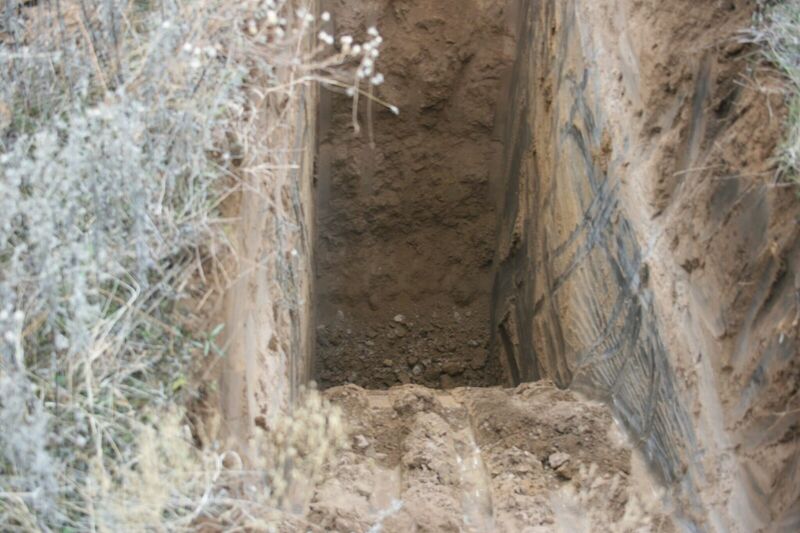 Dig test holes and evaluate. That’s how the site fits the pond. 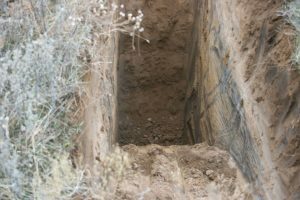 Another big mistake people make is to assume the contractor you choose can read your soils and then know how to separate those soils and build a proper structure and stay within your budget. Ah, budget. That’s another mistake. 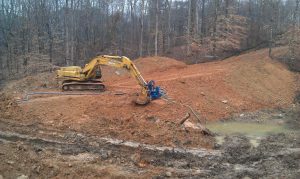 Until you have thoroughly evaluated the site, determined watershed size, soil types and designed a workable plan, there’s no way to estimate how much dirt must be moved in order to build a dam or excavate your new pond. Estimates come from knowing how much dirt needs to be moved and how far it must be moved. Two key things here…know the volume of dirt that must be moved to estimate the cost and choose the best contractor for the job, not necessarily the cheapest. Best is better than cheap. Okay, you’ve pushed past the watershed, figured out there’s enough clay to do what you want and selected the best contractor. You’ve figured out how many cubic yards of dirt must be moved around to do what you want to do and a written estimate is lying on your desk and weighing in your mind. Know your soils before moving dirt. Dig test holes. Don’t assume the estimate is accurate. Assume otherwise or you are likely to be disappointed. Not one project is totally predictable. Not one. When that big silver blade begins to move the earth, surprises await. There may not be enough clay after all…or there may need to be a deeper core trench to build the foundation for your dam, or there may be an old Model-T buried six feet deep in mucky silt from yesteryear’s filled-in creek. Assume the estimate is under-estimated. A good rule of thumb is to look at your estimate, add 25% and hold on. Prepare for surprises. 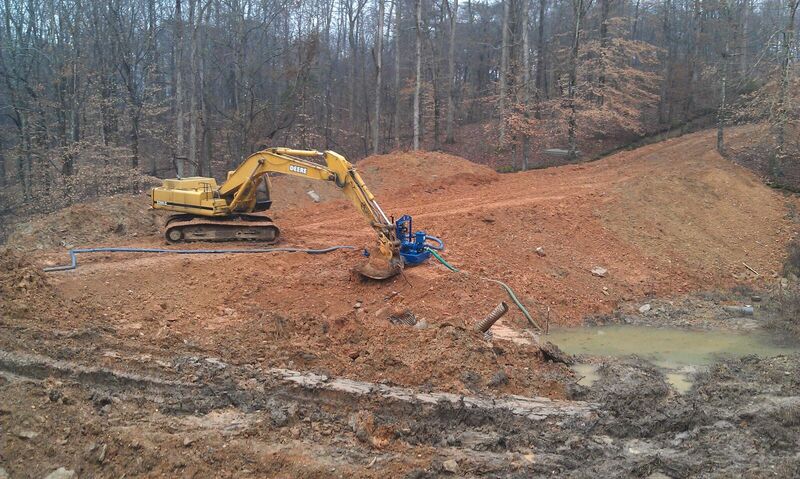 Once past dam building or excavating the hole, remember you are building a pond…not just a dam. The dam has a job. Its job is to impound and then release excess water during heavy rains. That’s what it does. It’s a structure, a device with a purpose. Inside, behind that dam, is a living, breathing entity that will take on a brand new life. Be sure the inside of your new pond has the best habitat…not too much and not too little. That habitat is based on your goals. If you want a bass lake, design habitat for bass and its food chain. If you want a duck lake, make sure there is shallow water to grow aquatic plants. If you don’t want to be dealing with runaway aquatic vegetation, make sure the shoreline all the way around the periphery gets to deep water pretty fast, at least a 3 to 1 slope into water five feet deep or deeper. Know preferred habitat and build it before the pond fills with water. While all this percolates in your brain, be thinking of amenities…before the earthmover shows up. Want a dock, maybe a boat ramp? Any swimmers in the group? You may want a beach and a zip line. Is ice fishing part of your life? Set it up in the beginning, not as an afterthought. Think of these things during the planning stage. Okay, you get the point. The biggest mistakes people make are: Failing to plan. Not knowing the watershed. Not understanding the importance of “good” soils. Not hiring the ‘best’ contractor for that specific job. Assuming the estimate is correct (hooray if it is). Understanding a living pond…behind the dam. Forgetting about the amenities. Once you build it, you aren’t finished. A pond is ongoing, living, changing, evolving. If you stock it with fish, prepare to manage the fishery. If you build a beach, prepare to weed it. There will be maintenance to keep a pond pristine and acting like the one you are dreaming about. That’s part of the fun of having a pond. Choose the best contractor, one who has the right equipment, knowledge, and experience. 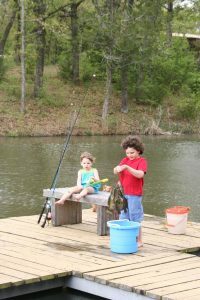 So, you’ve done it…all the homework, all the planning…and now you look forward to those butterfly spring days when you can head to the dock, dip a cane pole line in the water with a hunk of nightcrawler two feet under a red and white bobber and wait for that telltale plunge from a giant sparkling sunfish accepting your offer. One last mistake…don’t forget your favorite beverage and a camera. Because, when you make the trek to pond’s edge, you’ll be able to relax and enjoy the fruit of your planning and effort rather than the somber feel as other people mentally kick themselves for the mistakes they made…and you didn’t. Now all you have to keep your eye on is that bobber. This entry was posted on Monday, August 21st, 2017 at 9:03 pm	and is filed under Articles, News & Updates. You can follow any responses to this entry through the RSS 2.0 feed. Responses are currently closed, but you can trackback from your own site.